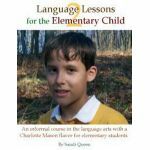 Language Lessons is an easy to use, delightful language arts program using the Charlotte Mason method. 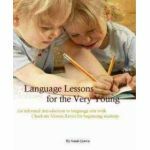 There are 180 daily practice lessons in the following areas: Art Appreciation, Copywork, Poetry, Phonics Rules, Grammar, Capitalization, Punctuation, Letter Writing, Dictation, Editing, and lots more. 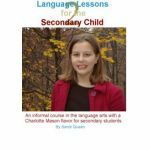 I've heard some Language Lessons users mention that the program felt too easy, and they wondered if their homeschool students were learning enough. What you'll find if you use these books is that your student can complete a lesson in as little as 5 minutes. So, are your students learning enough when they use Language Lessons? I've used these for a number of years and can say a resounding yes. Before using these, you may want to familiarize yourself with the Charlotte Mason method and the idea of doing away with educational "twaddle." 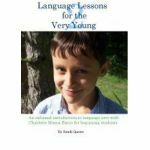 When my kids use Language Lessons, they receive a well-rounded, twaddle-free education as well as being left with plenty of time to actually do language arts (i.e. : read good books, write creative, and speak publicly). Highly recommended. Unfortunately, we are not allowed to discount these books.